I’m a recent graduate who has relocated to a new city based on job potential. After moving to Orlando, I have found there to be way more jobs to apply to and a lot of new industries to explore. There are a lot of factors that go into determining the top cities for recent grads like cost of living, job opportunities, and percentage of young people (aka millennials). 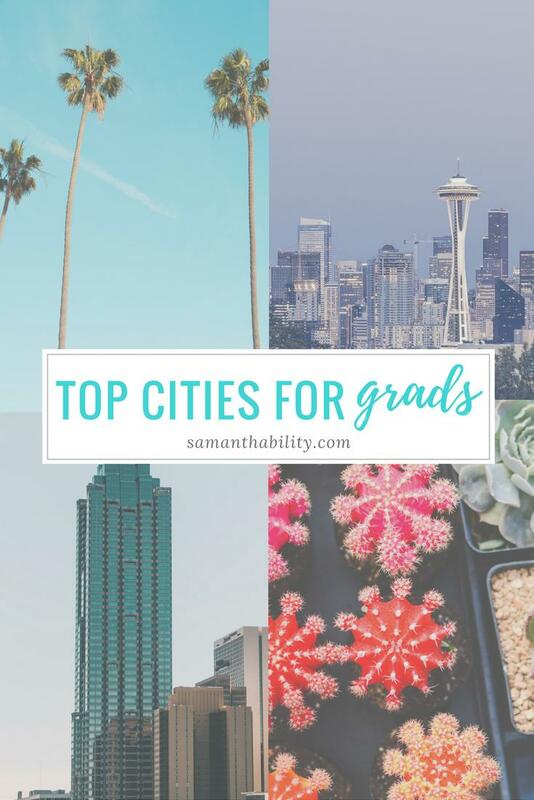 So, if you’re about to graduate, or you’re just looking for some more earning potential, consider relocating to one of these top cities for recent grads! While the cost of living in the nation’s capital is no joke, the job market is currently booming, especially for young people. DC suburbs like Arlington and McNair are up-and-coming Millennial hubs, with more and more businesses moving in each year. DC is particularly appealing to graduates interested in finance, politics, and international relations. Wanna make the move? Consider sharing an apartment in a suburb and relying on public transportation to keep costs low. As a recent Orlandian (Orlandan? Orlandite? ), I can attest to the large career potential of this large metropolitan area. Start-ups and corporate headquarters alike are quickly moving to this theme-park mecca of the south. If you can get over the horribly expensive highway system and deadly humidity, Orlando is really a hip, exciting place to start a career after college. If sunny Central Florida isn’t for you, perhaps the rainy Northwestern city of Seattle offers what you’re looking for. Housing in Seattle can be expensive, but there are ways to lower your expenses. Millennials are quickly flocking to Seattle neighborhoods, bringing job prospects and living out their dreams of stumbling into McDreamy on the street (Greys Anatomy, anyone?). Not convinced? Forbes recently named Seattle the number one city for jobs in America. With reasonable living costs, this coastal Florida city ranks high on the list of top Millennial destinations. Young professionals have a lot of options here for career growth, while the Gulf Coast lifestyle is its own reward. Job growth is only increasing in Tampa, as it was the number one destination for movers in 2016. Minneapolis is one of the most booming Midwestern city, and it’s home to five different Fortune 500 companies. If you’re looking to lower your costs after graduating from college, consider this destination. Not only are costs of living lower, but there is a bustling Millennial population and range of activities to suit every budget and taste. Minneapolis is even home to a world-renowned foodie scene, and honestly, that is reason enough to keep this city on your radar. Affordable housing, museums, and a strong art scene all attract Millennials from around the country to this rust-belt city in Pennsylvania. This city offers young graduates the most bang for their buck as the increase of jobs with the lower cost of living leaves room for disposable income. Businesses that call Pittsburgh home include Disney, Uber, Google, and Apple. This Texas city has received a lot of praise recently for its outstanding art and music scene. Austin has one of the largest populations of Millennials today, and it continues to see a growth in population percentages. Perhaps this is due to the cities commitment to eco-living and lowering harmful emissions, something many young people are passionate about. Maybe it’s the 4.1% increase in career growth expected within the next few years or the bustling night life? Regardless, Austin remains to be a top city for grads. Portland has long been one of the top destinations for hipsters around the world. Despite rapid population growth in recent years, Portland maintains its small town feel, and it offers something for everyone beyond the boardroom. Love coffee? Portland has an astounding 1080 coffee shops throughout the cities district. Not to mention 132 breweries. A lot of grads are quick to overlook this Georgia city in favor of more glamorous prospects, however, Atlanta was recently named the second top city for Millennials. The costs of living in this Southern city are below the national average for cities of similar size, and the bustling nightlife might surprise outsiders. Millennials can find plenty of job growth, with many large companies calling Atlanta home. While San Fransisco used to be considered the top city for recent grads in California, the expensive cost of living has since convinced Millennials to look elsewhere. San Diego offers the same hip, active lifestyle of its northern counterpart with a more reasonable cost and more innovative career options. 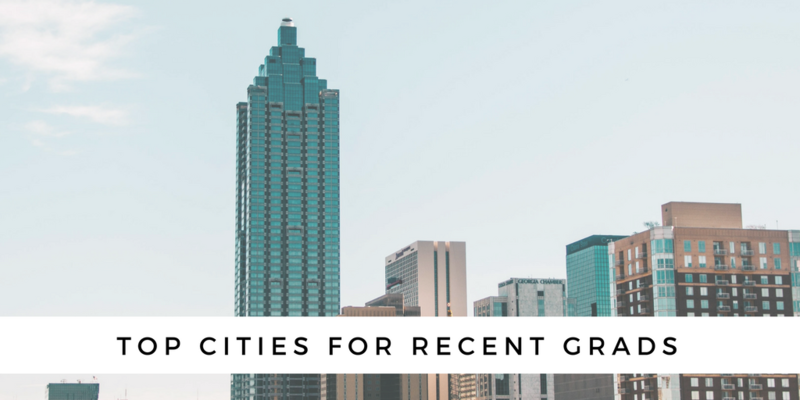 With a diverse range of companies looking to hire recent graduates from several fields and a low unemployment rate, this city earns a place on the list of top cities for recent grads. Graduating college is scary enough, let alone relocating to a new city. In our current economy and job market, however, it’s often necessary to get the most out of living expenses and career options. If you’re struggling to find relevent jobs for recent graduates in your home town or near college, consider relocating to one of these top cities or researching top cities for your field. Ultimately, job searches require patience and flexibility. Would you ever relocate for a job? What cities are you considering? Nice to meet you! 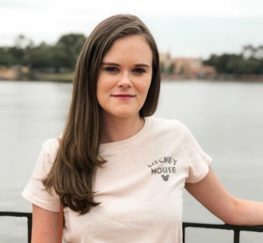 I am a 23 year old full-time blogger and freelance writer from Orlando, Florida. I help other recent grads break free from the 9-5 and do what makes them happy!